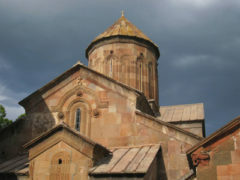 Visas: US or EU passport holders do not need a Georgian visa; Turkish visa for US citizens is obtained online here. 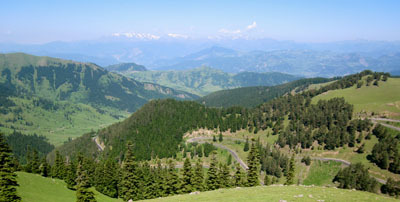 We will expect late spring weather in the mountains, which means it could be anything. Prepare for temperatures between 40-75F, likely that we will have at least one rainy day. In higher elevation locations (Kars at 6000 feet), the evenings will cool to 50F, while in Tbilisi (1500 feet), we will likely have warmer weather. 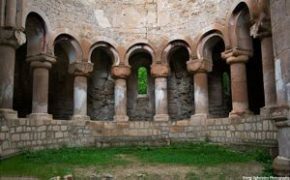 Back by popular demand, this unique itinerary to the ruined cathedrals of Tao-Klarjeti promises to be even more successful with the addition of additional sites to our itinerary. 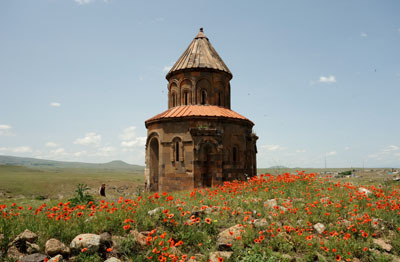 See the review of this tour in the travel section of the New York Times. The tour starts/ends in Tbilisi, the fresh capital city of Georgia which has received a rebuild since the Soviet period but still features a medieval fortress and many historic buildings as its downtown nucleus. 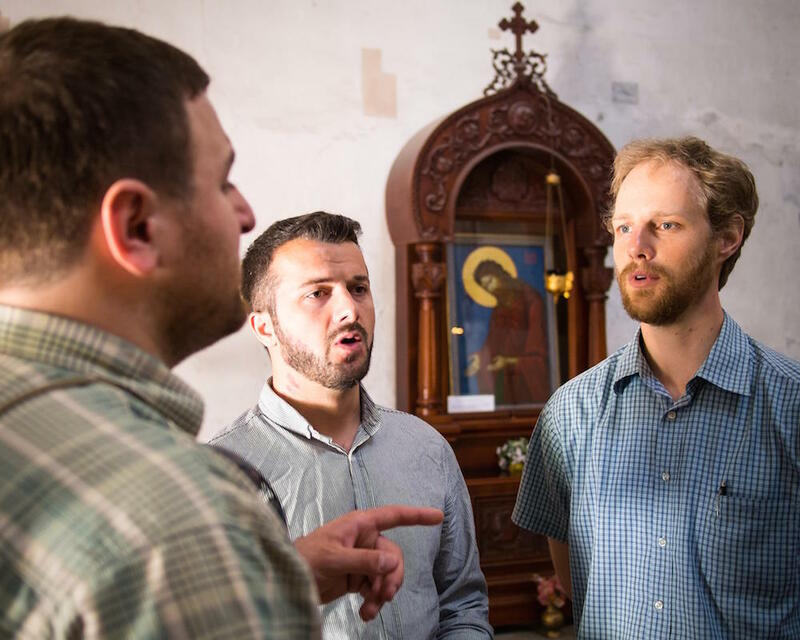 Our accommodation in the heart of the rejuvenated Old City places us within easy walking distance of many sites including churches, mosques, synagogues, carpet shops, and boutique cafes. 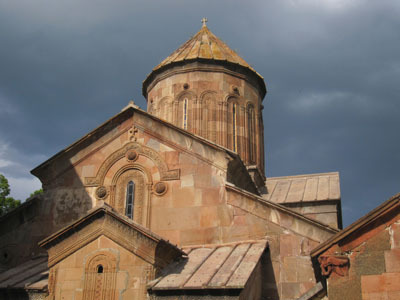 We will visit several newly reopened museums featuring high quality exhibits on pre-Christian gold jewelry, medieval Christian arts, and the Soviet occupation. 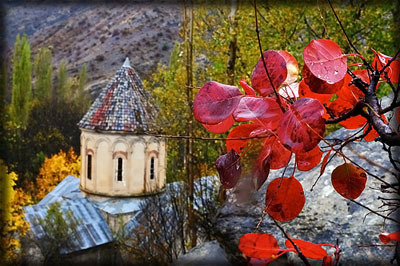 On our way to Turkey, we'll visit Mtskheta, the ancient capital of East Georgia, and Borjomi in the middle of the Borjomi National Park. 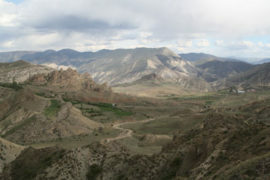 Traveling souther, we cross the border into Turkey, where we spend six days. 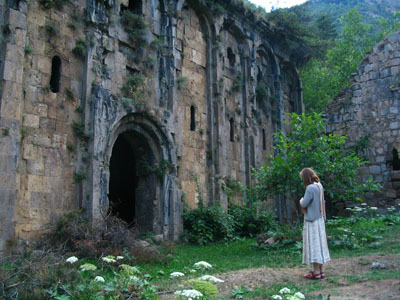 Our itinerary highlights the major architectural remains of the forgotten Tao-Klarjeti kingdom: half-ruined fortresses perched on rocky crags above river narrows, spectacular cathedrals hidden in box canyons, and remote monasteries hidden among the forests. In the city of Kars, we learn about the border region between historic Armenia, the Ottoman Empire, and the brief rule of the Russian Empire. 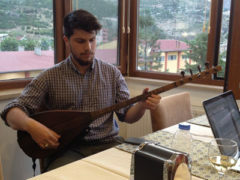 While in Kars, we will be interested in more than its famous cheeses and ski resorts: indeed Kars boasts a thriving tradition of singing bards, who play the long-necked saz and improvise texts to prescribed poetic meters. 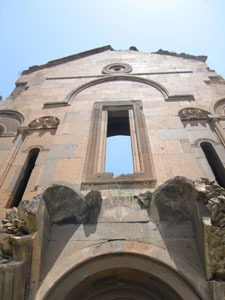 Our main site destination will be the medieval fortified city of Ani, once the greatest Armenian city in the world, but lying in ruin since the Mongal invasions of the 13th century. 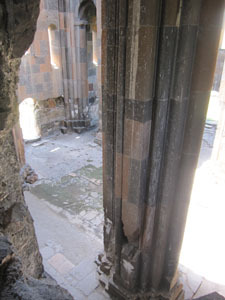 Back in Georgia, we spend two nights in a hotel located in the fortress of Akhaltsikhe, an important northern city for the kingdom of Tao-Klarjeti. 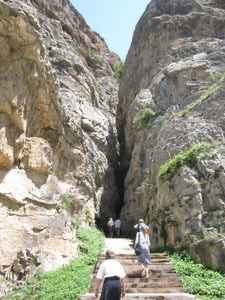 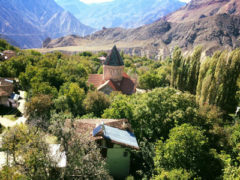 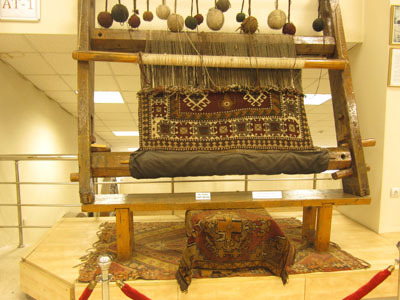 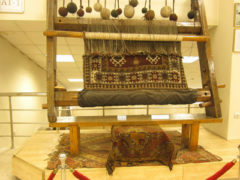 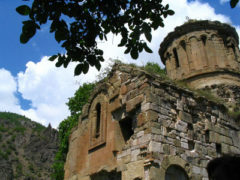 From here, we'll visit several important cultural sites including the Vardzia cave complex commissioned by the great Queen Tamar in the 12th century, the illusive Sapara Monastery (a perennial guest favorite), and the National Museum of Akhaltsikhe with its rich bronze age collection of local artifacts. 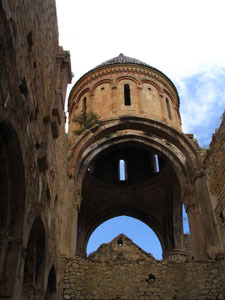 We also learn about the battle of 1878, when Russian forces defeated the Ottoman defenders of the fortress, later converting the madras and mosque into a Russian Orthodox church. 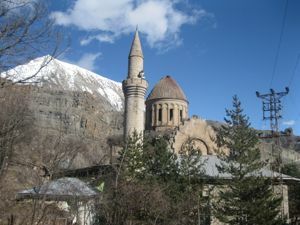 We complete the tour with a full day back in Tbilisi for museums, church visits, souvenir shopping, and sampling of the exploding dining scene. + Tbilisi, capital city of Georgia, founded in the 5th century by King Vakhtang Gorgasali. 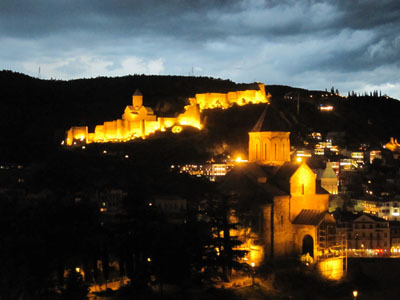 A center of trade and conflict for centuries, Tbilisi has been sacked forty times by various invaders but survives today as the modern hub of the South Caucasus. 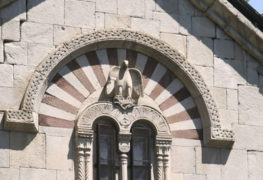 Nevertheless, the downtown area is full of winding cobblestone streets, small shops and restaurants, as well as the churches, synagogues, and mosques that celebrate the diversity of this unique country. 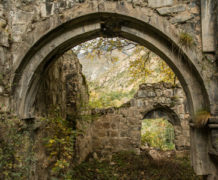 As we tour monasteries in the ancient capital region, a comfortable downtown Tbilisi hotel will serve as our home-base, affording a chance to sample the best of Tbilisi's dining and evening entertainment, and visit the wealth of museums, spas, and cultural delights in the "Old Town." 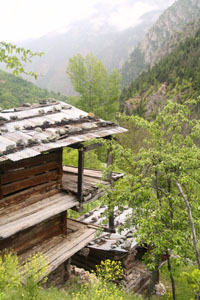 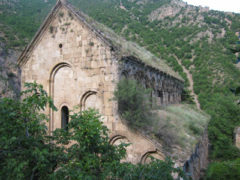 + Tao-Klarjeti is the mountainous region in contemporary North-Eastern Turkey that was once the birth of the medieval Georgian "Golden Era" that lasted from the tenth to the twelfth centuries. The high-plateau topography is criss-crossed with deep canyons, which offered both fertile farmland and easily defensible positions against Georgia's numerous enemies. 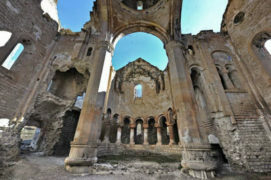 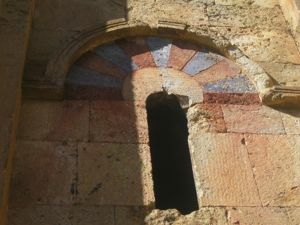 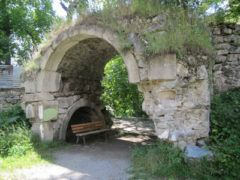 Evidence of the cultural and political importance of the area is seen in the ruins of more than three hundred cathedrals, chapels, bridges, fortifications. 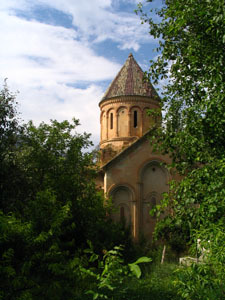 During the tenth century, ruler Davit Kuropalates assisted the Byzantine Emperor Basil II with auxiliary troops to defeat an uprising, an alliance which strengthened the position of Tao against a weak Persia. 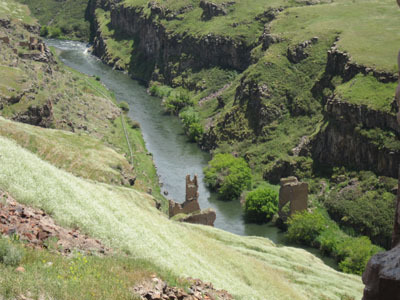 Read more on the history of the region here. 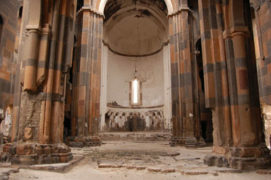 The Orthodox Church flourished, and the monasteries of Tao-Klarjeti became famous for their illuminated manuscripts, unique chanting schools, and deep connections with monasteries in Palestine, Syria, Egypt, and Greece. 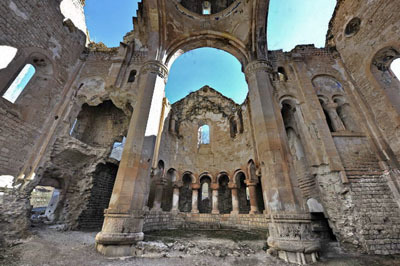 + Kars is a city at the far Eastern edge of Turkey, and as such has lost some of its former luster and importance. 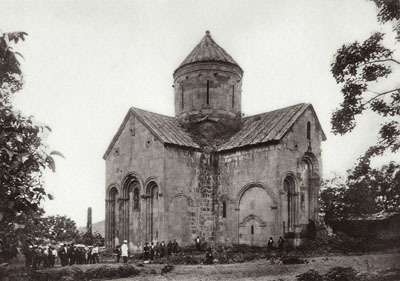 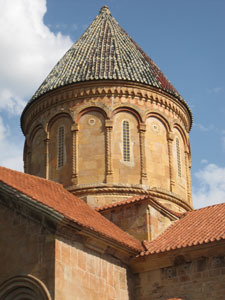 But during the nineteenth century, Kars was a major hub of the Russian Tsarist Empire, at the center of a geographical region which encompassed the high steppe country spanning what is today southern Georgia, western Armenia, and eastern Turkey. 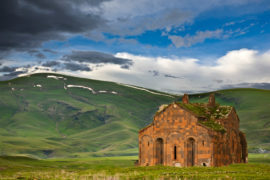 During this period, the building of the transcaucasian railroad from Erzurum to Tbilisi traversed this plateau at Kars, leading to a vibrant commercial center populated with an extremely diverse ethnic population of migrant workers and their families. 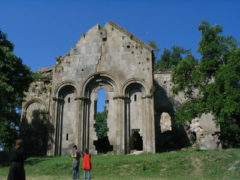 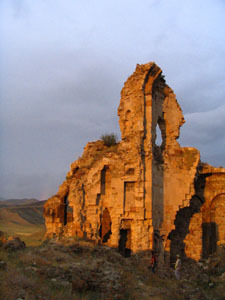 In former centuries, Kars was an important Eastern stronghold of the Ottoman Empire, seeing its share of epic battles as the Turks gained and lost territory to Persians, Georgians, Armenians, and Mongols. The focus of our visit will be the medieval metropolis of Ani, just a few kilometers from Kars, which was once the capital of feudal Armenia. 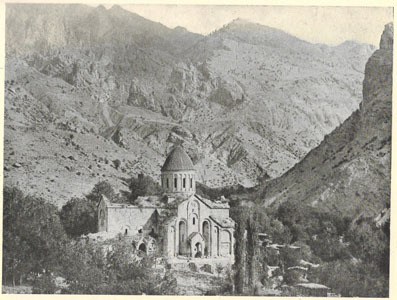 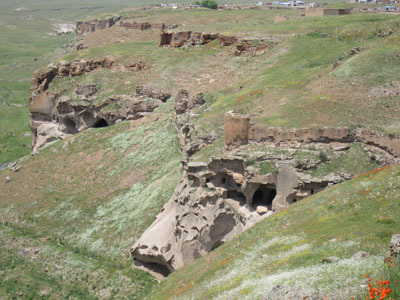 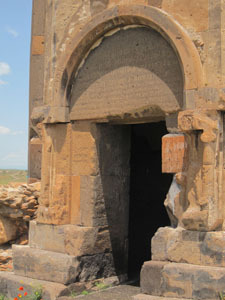 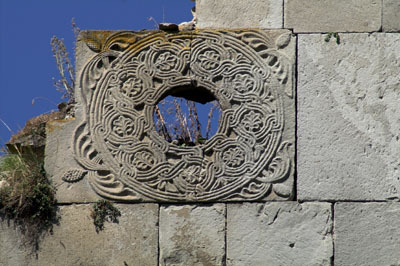 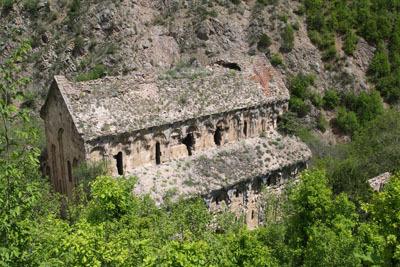 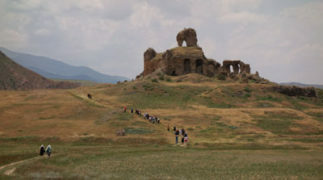 In the 11th-12th century, Ani was administered by the Georgian monarchy, but later fell into ruin under the Seljuk Turks. 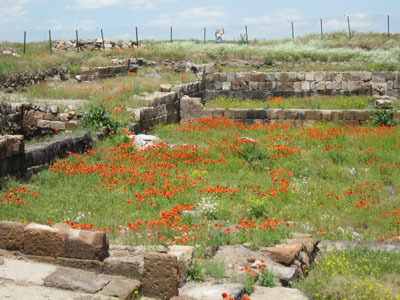 Now, only a field of ruins remain, yet these are not mere stone walls. 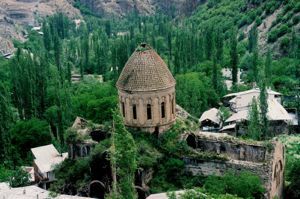 Giant arches and cathedral domes protrude from the plain, speaking volumes of a city that once boasted spectacular opulence. 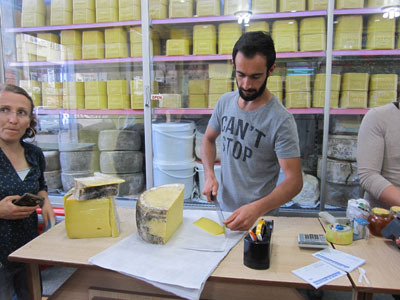 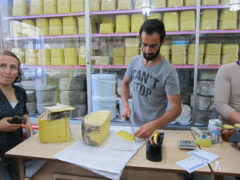 Kars is famous for its cheeses, and for some, as an important home to the mystic George Gurdjieff. 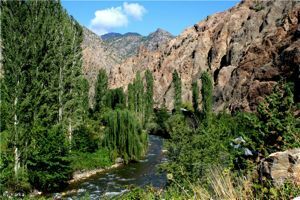 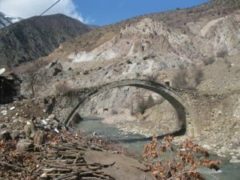 + The Mtkvari River originates in Klarjeti (now NE Turkey) and flows some 400 miles north and east before emptying into the Caspian Sea. 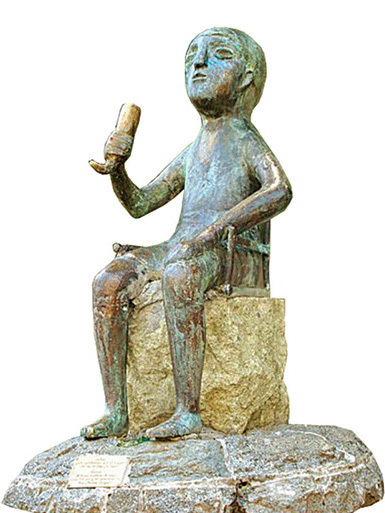 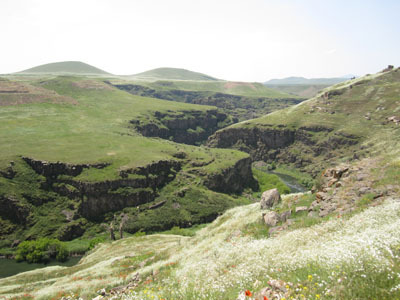 The watershed of this river, together with the parallel Araxes River to the south, formed the locus of an advanced neolithic society in 3000 BC, attested to in numerous archeological sites where evidence of trade, urbanization, religion, and agriculture have been located. 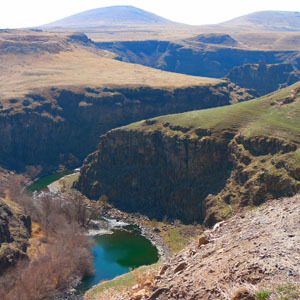 Currently, this area crosses from the Eastern Anatolian steppe into what is today Armenia, Georgia, and Azerbaijan. 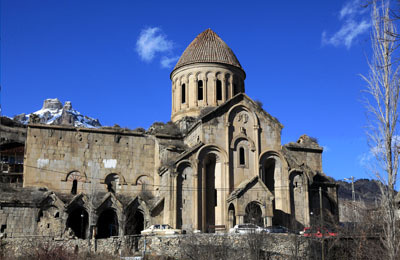 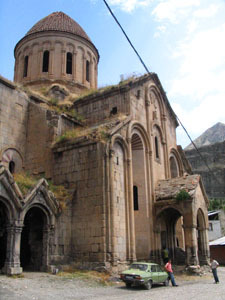 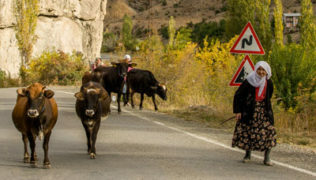 While in Georgia, we will visit the 12th century cave city of Vardzia on the Upper Mtkvari River, as well as the 9th century Sapara Monastery on one of its tributaries. Near where the Mtkvari River flows through Tbilisi, capital city of Georgia, we visit the 11th century Cathedral of the "Living Cross," and a Roman bridge built in 65 AD. 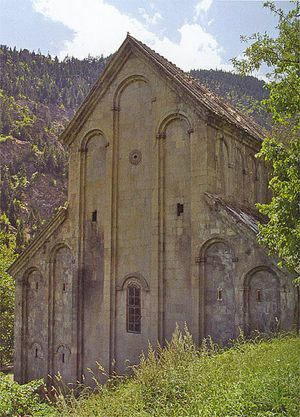 It was in this town, Mtskheta, where St. Nino the Enlightener managed to convert the local monarchs to Christianity in 326 AD, working miracles that saved the life of Queen Nana. 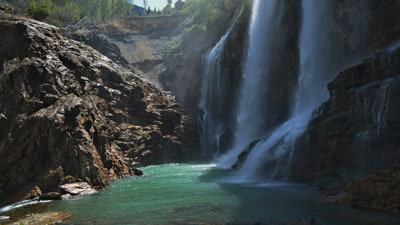 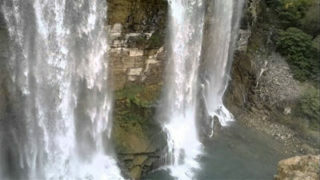 + St. Nino, a woman from central Anatolia, traveled overland through the Tao-Klarjeti region, following the Mtkvari river. 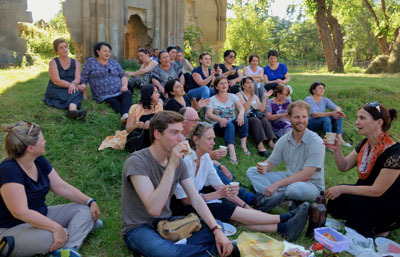 She lived with Jewish communities, being an Aramaic speaker. 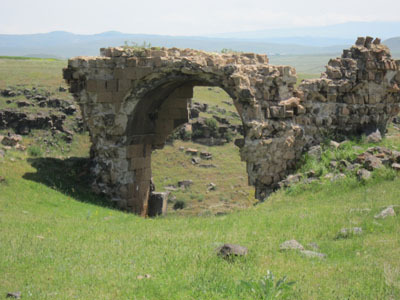 She stayed for a time at Lake Parvan before continuing over the highland steppe country near the town that is called today Ninotsminda (Saint Nino), arriving at the palace of King Mirian and Queen Nana in the year 320 AD. 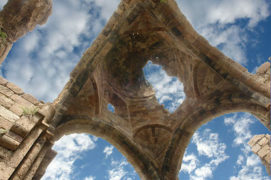 There she worked miracles and converted first the queen and then the king. On this tour, we follow this route from Tao-Klarjeti back to Tbilisi-Mtskheta.